Another collaboration with Subaru is “a safe assumption to make” according to Toyota. There’s more good news for fans of the Japanese sports car, as Autocar reports that the second-generation Toyota 86 has been given the green light for production. The new 86 will sit below the new Supra and be part of the Toyota GR Sport family. Launched in 2011, the original 86 was co-developed with Subaru alongside the BRZ. It uses Subaru’s flat-four Boxer engine and transmission, and Harrison said it was "a safe assumption” that the next-generation model would continue this collaboration with Subaru. This isn’t surprising as Toyota has partnered with other automakers to reduce the costs of developing low-volume sports car models when the segment is shrinking. The Supra, for example, was developed alongside the BMW Z4. This also means we can expect a next-generation Subaru BRZ. 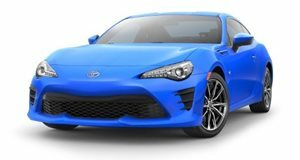 Toyota acknowledges that a new 86 won’t set any sales records, but Harrison believes it will add "excitement to the brand and emotional appeal.” A third Toyota sports car is also on the cards to slot between the 86 and Supra, with reports suggesting it will resurrect the MR2 as an electric sports car, which hasn’t been in production since 2007.